We're often asked if our training is 'Certified'. Currently no professional, governmental or industry organization has developed a 'Certification' standard for Radio Frequency Safety training! We can offer training with 'Certification' that the student has successfully completed our training requirements. 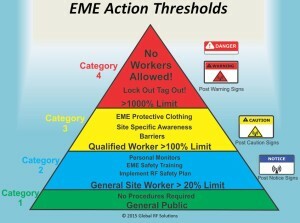 If another company makes a claim that their training is 'Certified' ask them what that means? 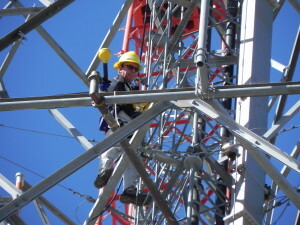 We have created our safety training program using our vast experience, FCC OET bulletin 65, IEEE C95.7-2014 'Recommended practice for radio frequency safety programs' and input from other industry leaders that have developed and produced premium RF Safety Equipment. Our training has no expiration date! 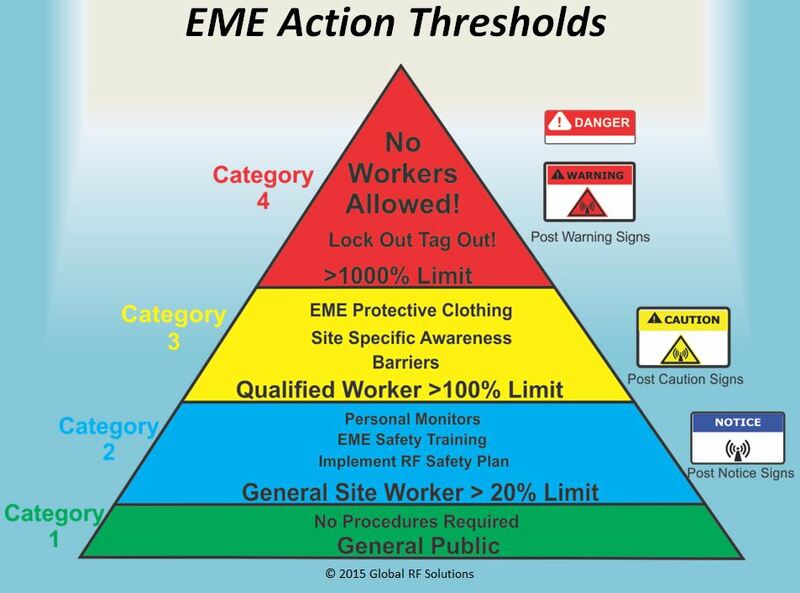 It's up to your company or employer to determine how often you should receive RF safety training, not us! If you're an approved vendor for AT&T, Verizon Wireless, US Cellular or a member of NATE, you can qualify for significant discounts! Contact us for details. You CANNOT receive discounts if you sign up online without contacting us! If our standard training offerings do not meet your specific needs, custom classes can be developed to meet your specific requirements. Live presentations, web casting and training at the customer's location can also be provided. 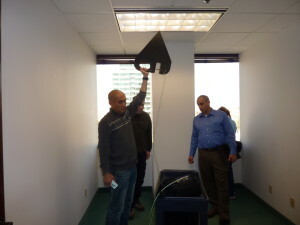 We also offer advanced RF Safety classes for RF Engineers and managers that has been developed to provide persons with more in depth knowledge of RF safety practices and procedures. 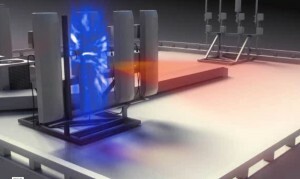 The course includes the following technologies. Broadcast Radio & Television, Cellular, PCS, 2-way and DAS. 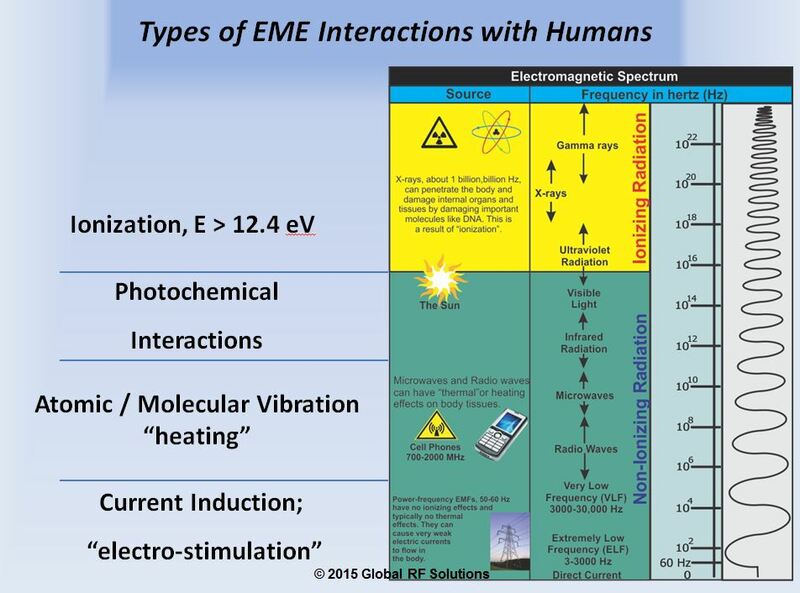 In order to work safely in an RF environment you need to be able to understand basic antennas, their patterns, and the relationship between gain and power (E.R.P.). 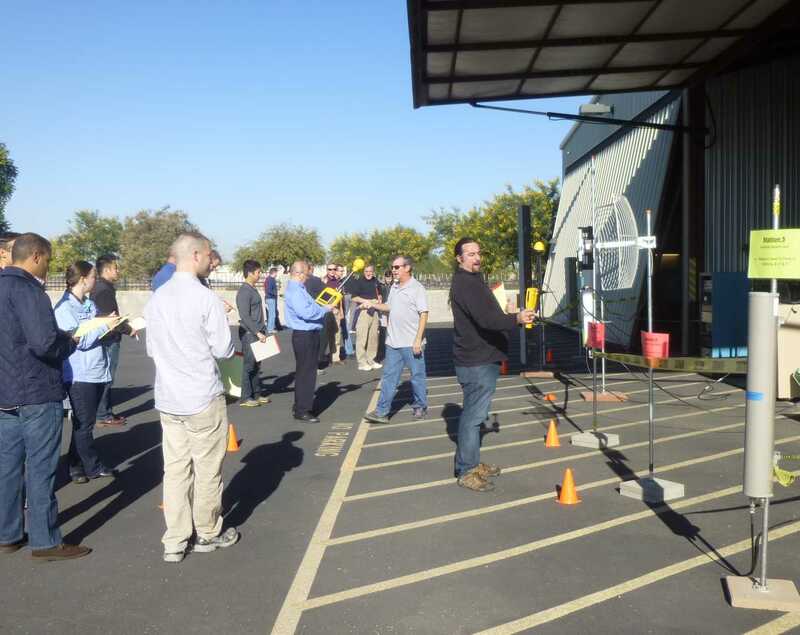 We have created our safety training program using our vast experience, FCC OET bulletin 65, IEEE C95.7-2014 'Recommended practice for radio frequency safety programs' and input from other industry leaders that have developed and produced premium RF Safety Equipment. Participants will be able to fully understand their responsibilities and the responsibilities of others in a successful safety program as outlined in IEEE C95.7-2014. We also offer "Hands on" training classes that include field survey techniques and practices utilizing Narda survey equipment. 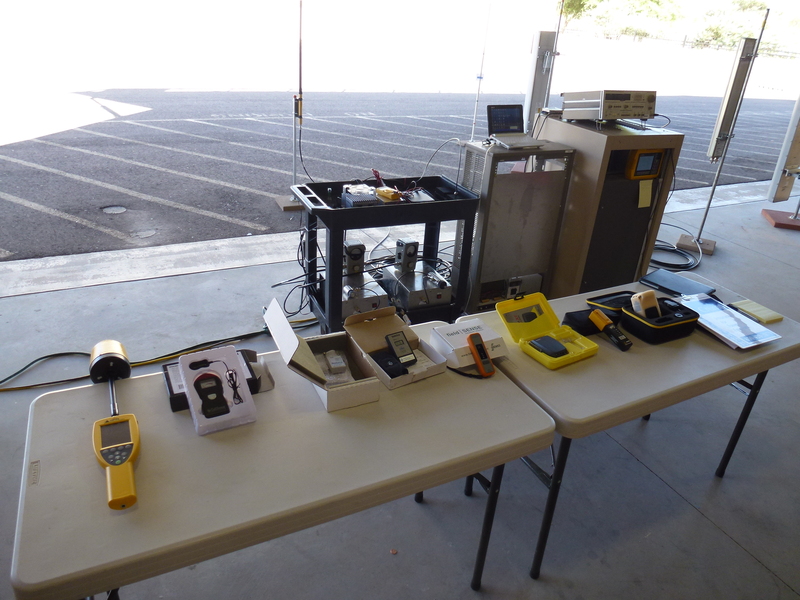 We'll even teach you how to use your own equipment if you own qualified test equipment. 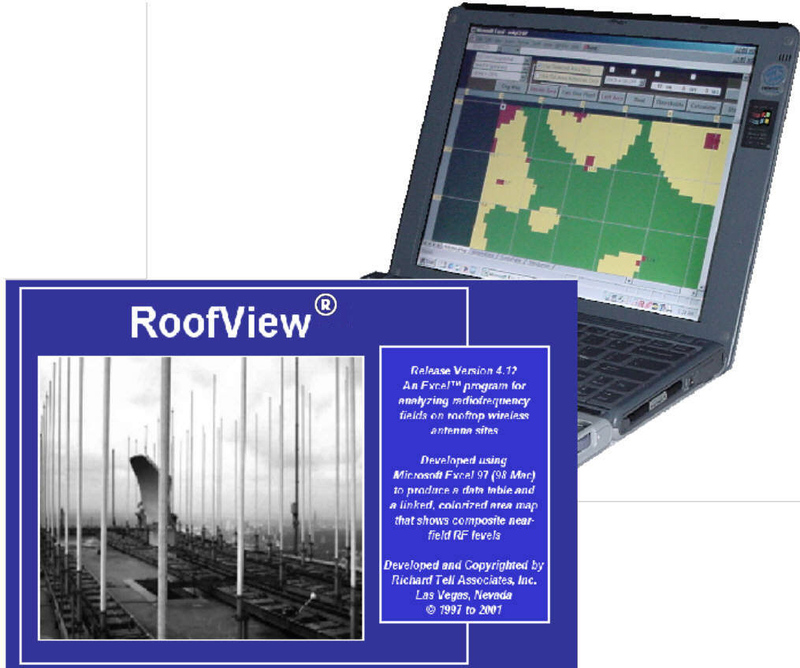 RoofView® and TowerCalc© (Products of Richard Tell Associates, Inc.) are products that we have many years of experience with as power users and beta testers. We also have the only hands on training classes certified by Richard Tell. Please feel free to contact us for class schedules and fees. The number of wireless devices that are used in every day life is growing at an exponential rate. Cell Phones, tablets, computers, cars, televisions and the list is almost endless and growing every minute. 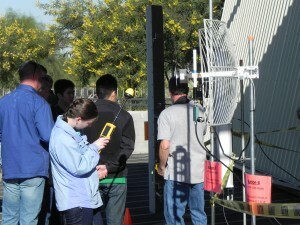 The newer high data rate services like LTE are very susceptible to interference from broad band noise sources. When another wireless device or a device that's not supposed to generate wireless signals interferes with the operation of a wireless device, that's what is described as "Harmful Interference". The FCC Enforcement Bureau has the responsibility of verifying harmful interference and issuing enforcement actions (NOV & NAL) against the offending parties. Unfortunately the FCC has reduced the number of EB personnel and office locations to respond to these complaints. We can investigate and document cases of harmful interference and in the vast majority of time (>95%) mitigate the problem with the offending party(s) without the assistance of the FCC. If the FCC is needed we can assist in the process of filing a complaint. 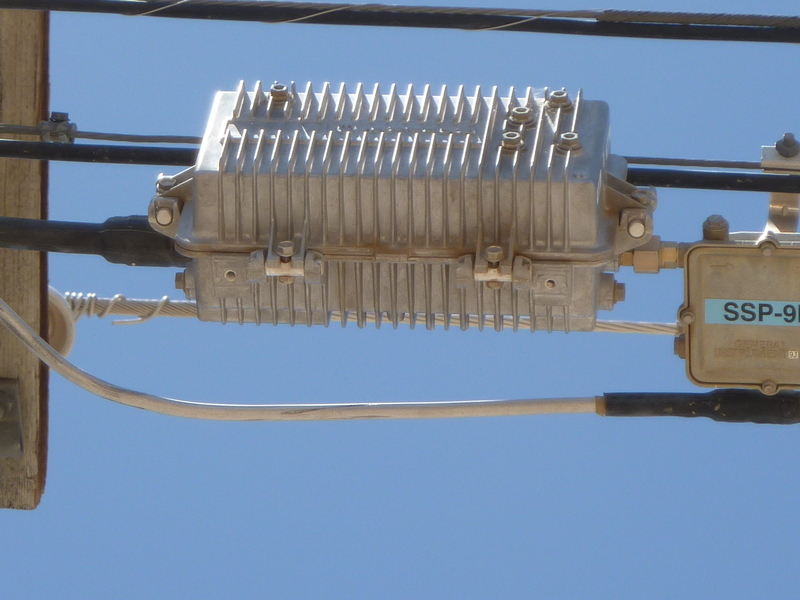 Our list of satisfied customers is long and includes wireless license holders and municipalities. We are based in AZ but utilize a private aircraft as a fast response resource throughout the Western United States to provide timely service to customers with time sensitive problems. 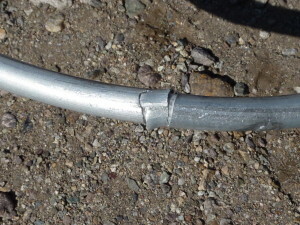 The hard line coax to this cable amplifier was damaged! The harmful interference leaking from this damaged cable shut down 2 sectors of an LTE cellular site! This stereo receiver is proof that "If it has a power cord it could be the source" of harmful interference! We were one of the first consultants to identify broad-band noise from faulty solid state light ballasts on a large scale! 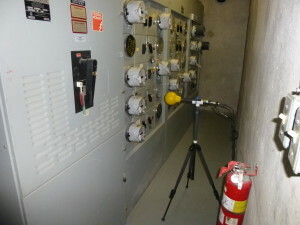 We can also perform inter-modulation studies used for collocation on towers and other communications sites. Please contact us for specifics. 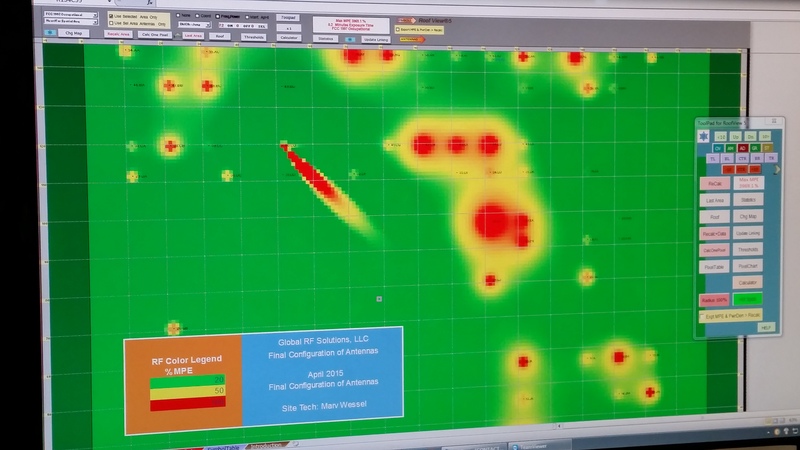 The new RoofView® Version 5 is undergoing beta testing now! Designing communications sites to be compliant before they are built or modified is often accomplished by using computer models. Choosing a model that is conservative (over predicts) but not overly conservative is an important cost savings measure for license holders. If the analytical tools are too conservative, mitigation costs from building barriers that are too large or implementing other mitigation efforts needlessly can cost a large carrier millions of dollars. 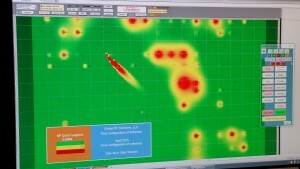 That's why we have standardized on the analytical tools developed by Richard Tell. RoofView® and TowerCalc© (Products of Richard Tell Associates, Inc.) are predictive tools that we have many years of experience with. 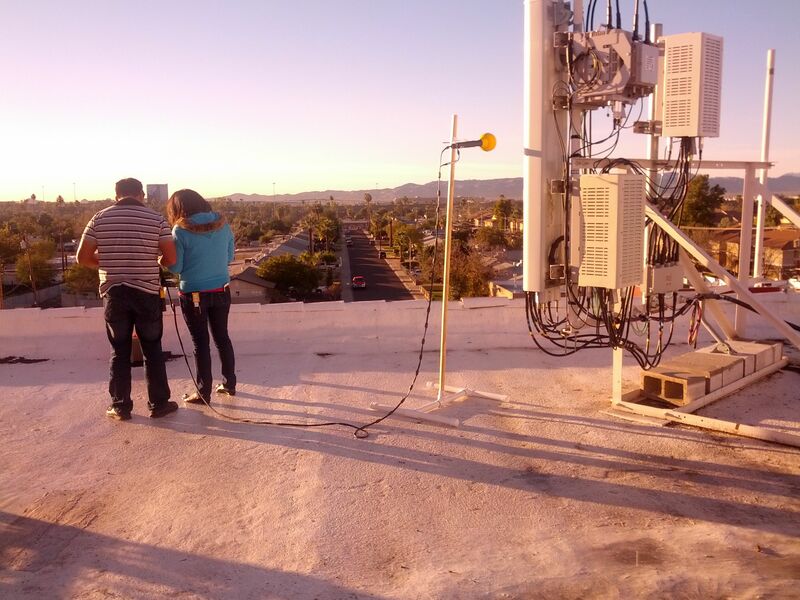 We have performed several controlled tests on our antenna range to gather empirical data to verify that RoofView® results are no greater than +3dB of our measured results (We have never seen an instance of it under predicting). 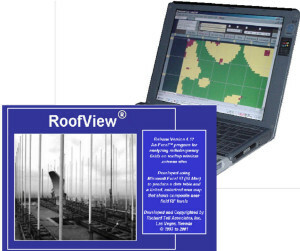 We have found that RoofView® is the most accurate predictive tool that is commercially available for performing RF Rooftop modeling for regulatory compliance (and safety) purposes. If you need to have one or one thousand sites analyzed you can contact us and we would be happy to provide you with a quote. We have surveyed thousands of sites at locations that include the majority of the continental U.S. States, Hawaii, Puerto Rico, Mariana Islands and locations within Canada. 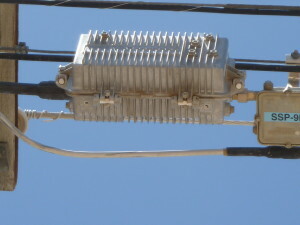 The subject sites include cellular, Commercial Broadcast TV, FM, Ham Radio facilities and even smart meters for public utilities. 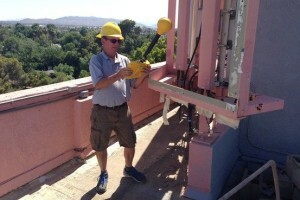 When the Wall Street Journal wrote an investigative report about the safety of cellular antennas on rooftops they sought our advice as an industry expert. 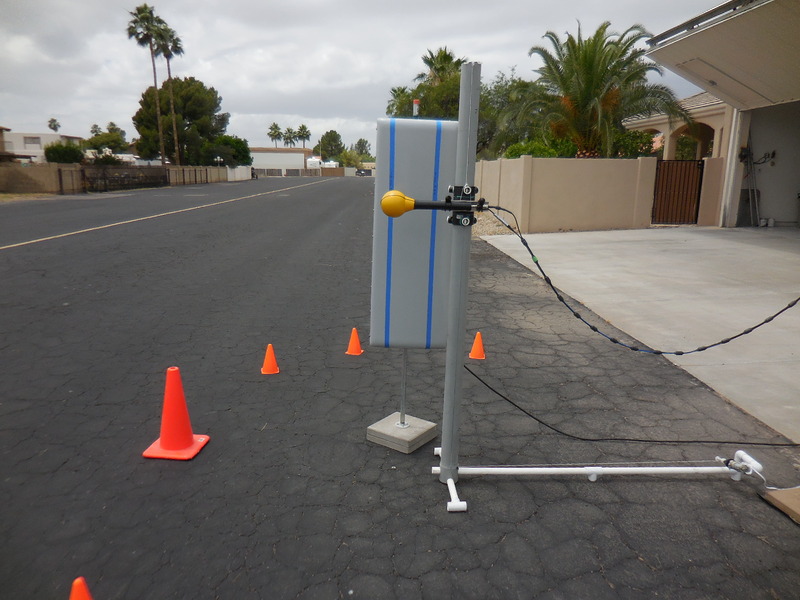 We utilize broadband equipment for select measurements (> 3 GHz) but the majority of our surveys are completed utilizing Narda narrow band equipment. Why? 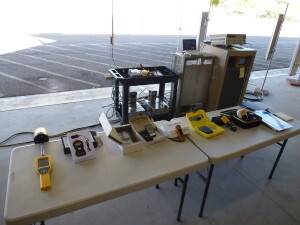 Because it's the same equipment used by the FCC Enforcement Bureau and quite simply the most accurate field equipment available for RF E-field measurements. Yes it's more expensive to purchase and difficult to use but true experts in the field will settle for nothing less! The level of detail and dynamic range of this equipment surpasses the capabilities of any broad band equipment. Why settle for anything less? The FCC Enforcement Bureau (pictured) uses Narda narrow band equipment for enforcement action investigations. City of Sedona, AZ survey of Ham Radio operator. Narrow band measurement equipment is the only equipment with a large enough dynamic range to accurately assess smart meter technology! 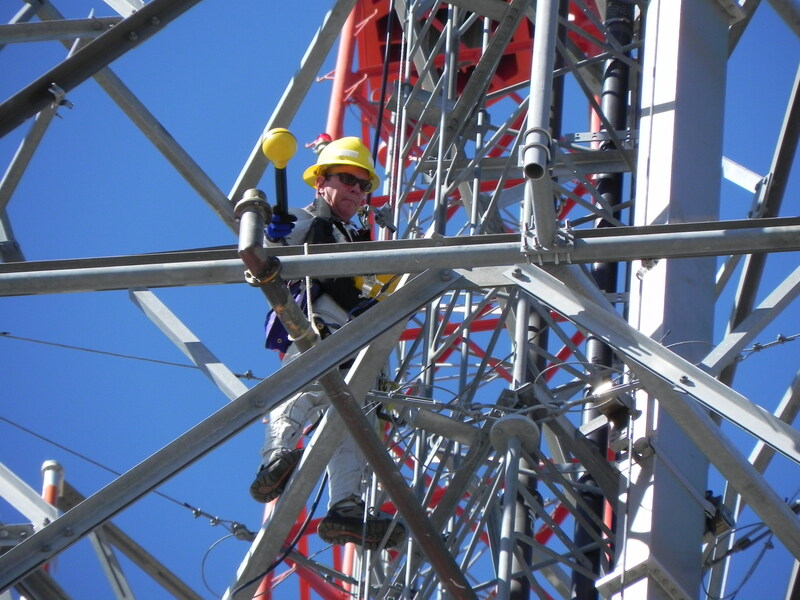 On a commercial broadcast tower at a heavily collocated site, narrow band measurements are the only way to accurately determine who the major contributors are at the location of interest! 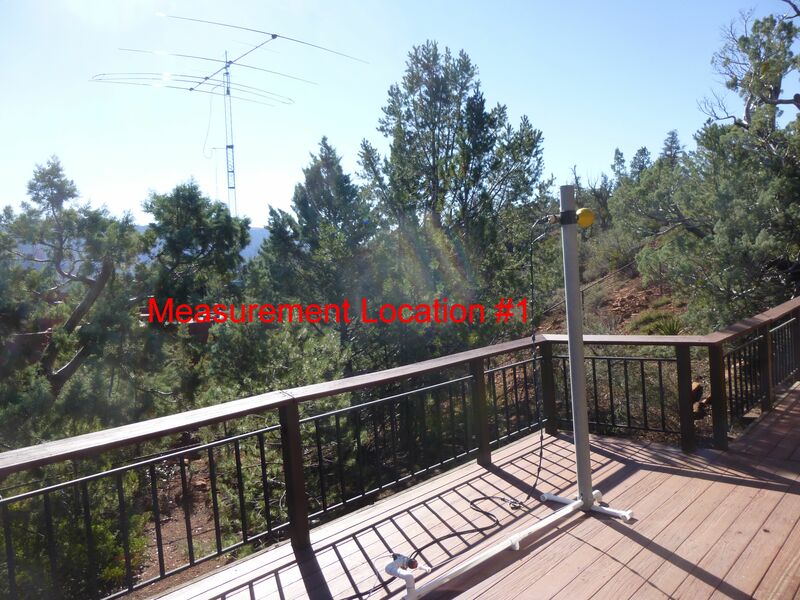 This spectrum shot from the Narda narrow band equipment presents a clear picture of the significant contributors at the location of interest! We have thoroughly tested a large variety of RF monitors in a controlled RF environment in the VHF to Microwave frequency range. We have an extensive antenna test range that covers the VHF through microwave frequency range for testing and evaluating RF monitors. 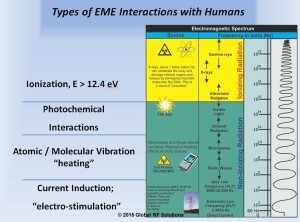 We also have a TEM cell (Transverse Electro-Magnetic cell) that can produce a precise E-Field and M-field for testing and calibrating equipment like RF monitors. We cannot update calibration information (cal factors) in Narda monitors so we would recommend sending those units directly to Narda for calibration. RF monitors like the Field Sense, Safeone and EME Guard XS only need to be function tested in a known RF field to verify that they are still working within manufactures specifications. That is exactly what our TEM cell was designed to be used for. 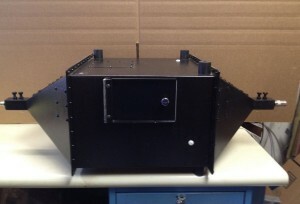 Our Transverse Electro-Magnetic cell (TEM cell) used for producing accurate RF fields. 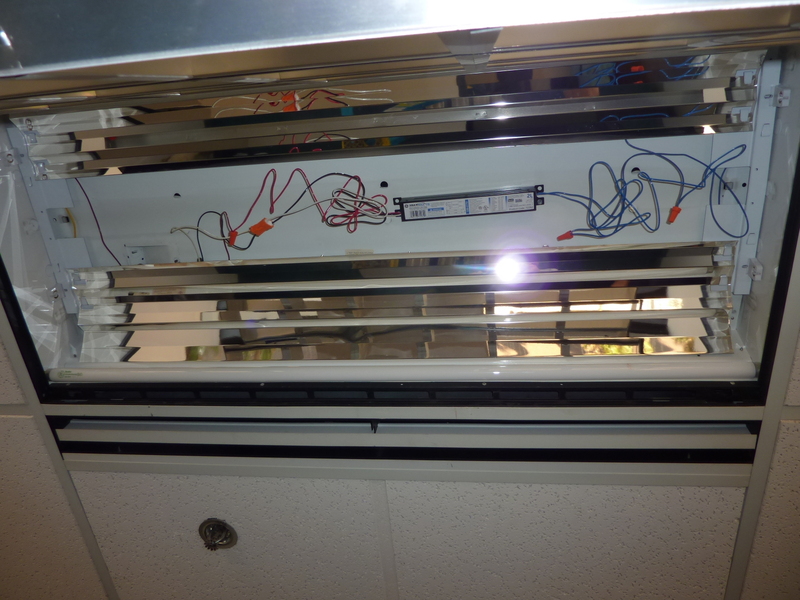 When we receive a monitor for calibration, they are inspected for physical damage, cleaned and a new battery is installed. We can accurately test and verify that the RF monitors are "calibrated" within the manufactures specifications using our TEM cell. We then affix a calibration label to the monitor if the units pass the test phase and they are then returned to the customer ready for service. 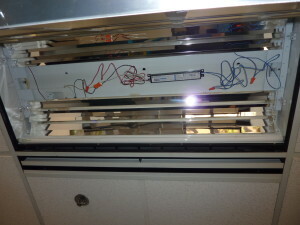 Failed units are returned to the customer with a description of the failure. Our typical cost for this service is $99.95 per monitor (expedited shipping and handling extra). Please contact us for specific details. We are capable of performing specialized services to suit our customers needs. 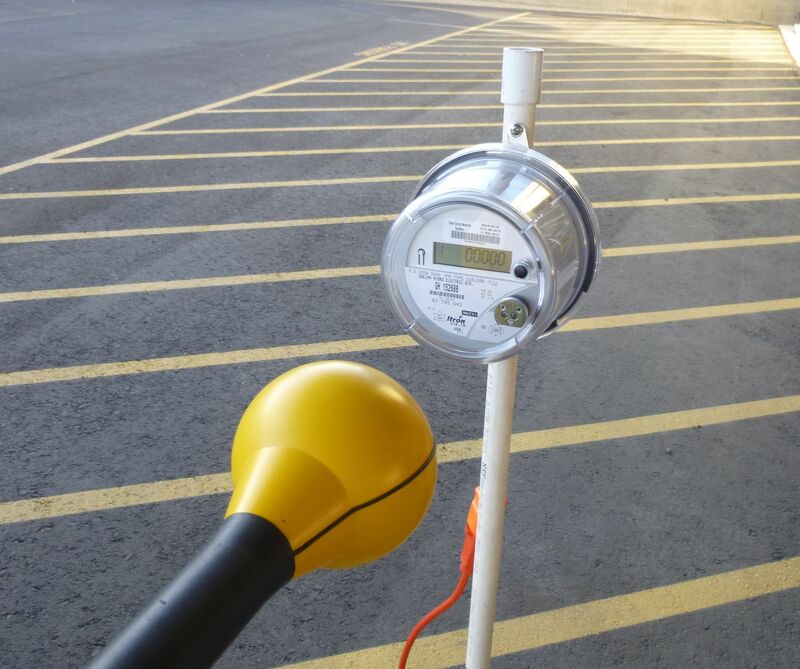 Smart meters have a very short duty cycle that requires special considerations to determine worst case measurement scenarios. 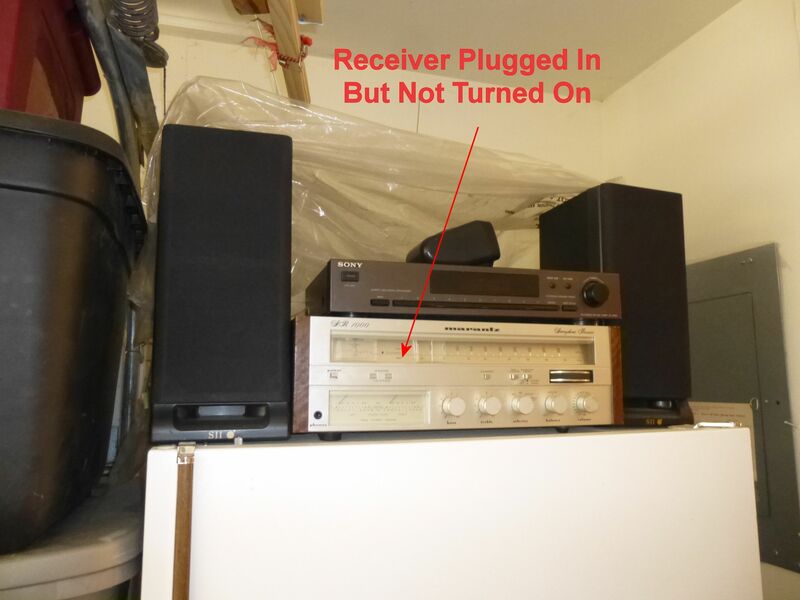 One method would be to have special programming applied to the radio to change the duty cycle (a prominent smart meter study did this) but that requires significant effort and money. We modified a smart meter to be connected to a CW source that could be carefully measured for worst case exposure conditions (simple and effective). 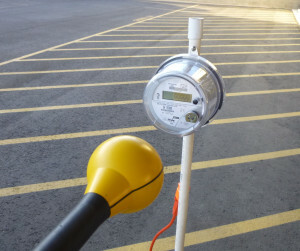 Modified Smart Meter undergoing CW test for worst case scenario. We have the equipment and experience to assist you with most any project that involves RF interference or RF exposure scenarios. 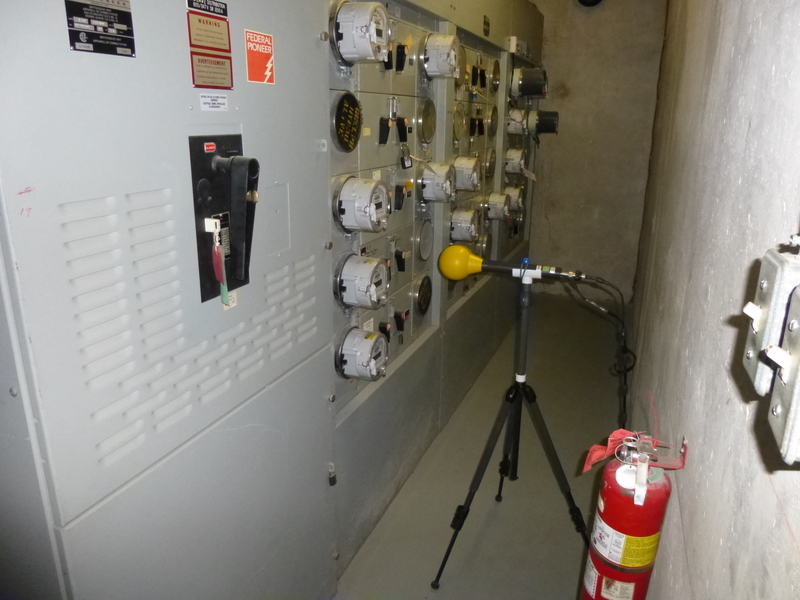 We can evaluate RF predictive models, measurement equipment, Safety equipment (PPE), perform RF safety program audits and anything else associated with these disciplines. Please feel free to contact us with your questions or ideas.